Instant switch access on any computer (inc. Mac). Connect up to 8 switches. 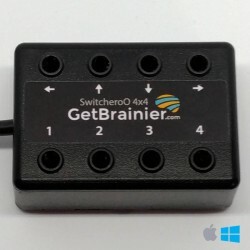 SwitcheroO 4x4 makes switch access possible on any computer. It allows you to connect up to 8 standard switches to your computer through a USB port. 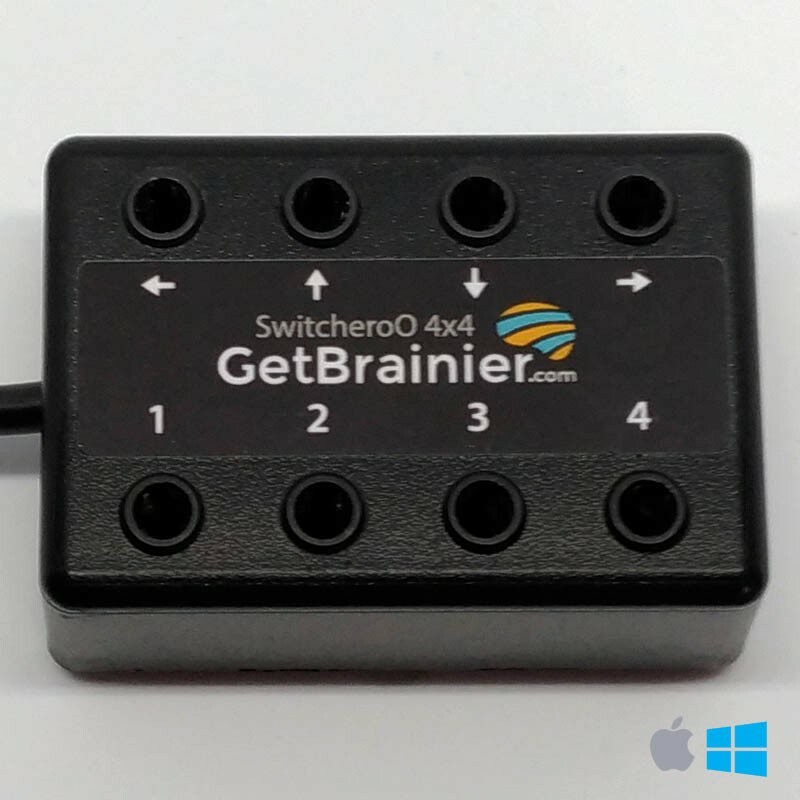 SwitcheroO 4x4 is compatible with the new Mac feature ‘Switch Control’ allowing you to interact with your Mac.